Mobile devices have become a key focus for banking and financial sector businesses looking for better ways to engage their customers and improve general operations. A major draw for Finance leaders is the widespread adoption of mobile devices, and the rapid acceptance of mobile banking as a viable alternative to the high cost of completing transactions in physical branches. A recent study by eMarketer1 found that 46.9% of the United States adult population conducted banking activities on a feature phone, smartphone or tablet in 2015, and this number is growing rapidly. eMarketer projects that by 2018, nine in 10 US digital banking users will be mobile bankers. This acceptance of mobile allows banks to proactively plan for 2-way, value added conversations for both parties along this channel. The finance sector, accordingly, has actively been embracing mobility in their customer engagement strategies. A recent global study of Fortune 2000 companies by IDC2 showed that 80% of all financial services companies are currently using, or plan on using integrated mobility-channel solutions such as SMS, App Push Messaging, Voice, Email & Social to communicate or interact with their customers and employees. Further, planning for mobile messaging has moved beyond IT departments, and business leaders are closely involved in solution specification, selection, and deployment, due to the critical role they view mobile engagement playing in current & future competitiveness. However, at present only one third utilize the technology to attract and retain new customers. This provides considerable opportunity for progressive institutions to gain a competitive advantage from the use of mobile. Mobiles can be used in a number of ways which help improve customer satisfaction, including targeted customer promotions and product offers, bank appointment reminders, real-time alerts, bill reminders, and customer surveys. 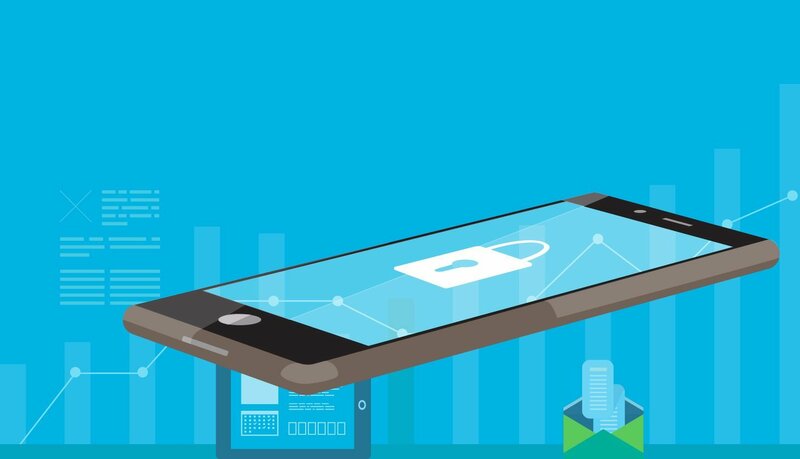 Security and Privacy are paramount considerations when engaging customers through this channel, so innovative solutions need to be embraced to find a balance between trust and effectiveness. Transactional mobile messages are sent to customers to convey information necessary for account maintenance or service, such as services provided by a bank for an account holder to retrieve their available balances; or 2FA confirmation for high value transactions. Promotional mobile messages are sent with the objective of promoting your product or service. This category includes any sales & marketing messages which may or may not be solicited by the recipient. These messages are governed by stringent Security & Privacy regulations in addition to anti-phishing strategies. Clearly accessible and easily understood Privacy Policies are essential to maintaining trust. Regulations governing the use of mobile contacts vary between jurisdictions, but a number of key guidelines are usually applicable. Improving service quality offers a starting point in building the relationship with customers using mobile communication channels. This can help deepen long-term relationships with existing customers, and provides a basis for further valued added communications. 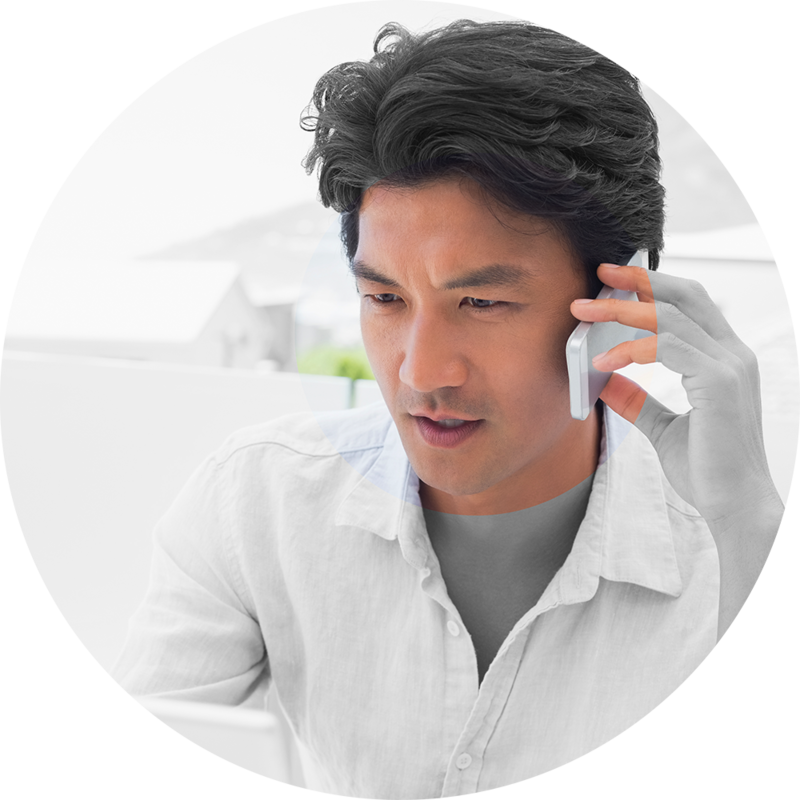 Mobile messaging allows rapid, multi-directional, easily accessed communication, and is a viable initial channel for customer service, lowering costs, and keeping contact concise and focused. Feedback can be immediately captured by surveys post-contact, with forms which are easy to follow and optimized for mobile, for higher completion rates. Training in products or services, such as a new credit card can also be readily facilitated through timely, mobile messaging, with interactive, contextual instructions included. Trust in online and mobile banking facilities can be improved via integration of messaging with other related online banking systems, to provide an automated multi-channel second factor authentication service. With these trusted mobile channels established, institutions may send rich, on-brand offers, based on customer preferences and financial history, refined by attributes like market segment, location or social media interaction, offering increased loyalty, upsell and cross-sell opportunities. Innovative financial service providers are progressing beyond serving existing customers with mobile banking tools, and are beginning to embrace the opportunity in using their mobile web and app properties to better support marketing functions like customer acquisition, cross-selling and upselling. The eMarketer Study shows that roughly 66% of US smartphone and tablet owners had encountered and clicked on banking and finance ads, due in large part to strong consumer trust in financial firms’ owned properties. Secure mobile messaging applications enable customers to embrace promotions & offers, and the challenge turns to encourage their use, through developing effective marketing strategies and appropriate customer interaction & adoption analytics. Providing vendor-neutral tools into the App encourages use by existing and potential new customer. For example, the Chase Manhattan “My New Home” App provides useful mobile tools with the goal of driving customer acquisition. Rich data about the housing market and neighbourhoods is synthesised into an easy accessible app, readily available to download when looking for a house, with the end-goal of having a conversation with a mortgage banker at the bank. Australia’s Westpac Bank have built location aware software triggers into their app, which are activated when customers enter international airports. A push notification prompts travellers to inform the bank through its app where they are going overseas and for how long. Then upon landing, another alert welcomes them to the new country and details where to find free ATMs. This helps with fraud detection and prevention, and encourages use of Westpac’s preferred partner ecosystem. Barclays Bank are reviewing the results of their Beacon trial, which used Bluetooth to notify branch staff when a customer with an accessibility need enters the branch. This reduced the need for customers to have to explain their accessibility needs each time they enter the branch, allowing staff to provide better assistance. The trial focused on customer service, but has the potential to be extended to customer engagement, as is more common in retail, sending contextually relevant offers on an opt-in basis directly to the app. Financial services firms face steep hurdles in meeting industry compliance requirements, and maintaining customer trust, so the adoption of any new technologies requires stringent evaluation. Vendors must have an auditable track record of security, data sovereignty, outstanding support and managed services, and offer SLA’s which guarantee highest levels of reliability & availability. When urgent communication is required, specific mobile channels such as SMS & App Push messaging accelerate the speed of notification. Statistics indicate that whereas half of all emails aren’t opened for at least six hours, the average SMS text message is accessed within a few minutes and responded to within 30 minutes. Incorporating messaging systems through API Integration with other customer facing and internal technologies such as CRM, workflow management tools, marketing automation platforms and related databases reduces the need for manual intervention, providing a range of automated, high value communications options. Combining all of these communications streams into a single platform, with omni-protocol APIs, intuitive UI & granular reporting improves cut-through in the delivery of messages and provides a mechanism for tracking all critical communications, giving recipients a way to respond appropriately. This allows informed, real time decisions to be made from these conversations. Singapore-based NTUC Income needed a solution for managing rising costs associated with traditional communication, while still providing an engaging customer experience. Whispir’s unified messaging platform was chosen to streamline contact, by significantly reducing hardcopy marketing mailers in addition to routing notifications, policyholder updates and offers. 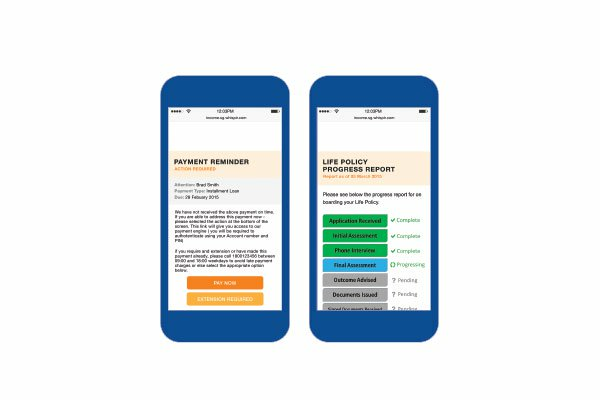 Whispir’s HTML5 Rich Messaging can be sent securely and cost effectively, containing information ranging from policy updates to billing reminders and personalised, contextual promotional offers. Existing policy holders, and potential new customers have the ability to interact immediately, taking actions which can include immediate payment, rescheduling billing dates, completing surveys and responding to offers. A centralised dashboard provides detailed analytics on conversations with customers across all channels, building a growing profile of relevant information over time. 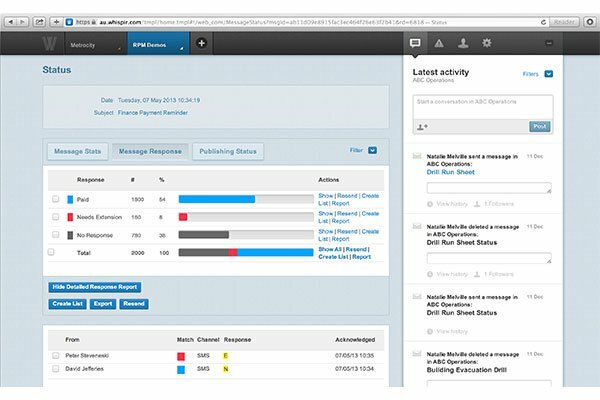 Finally, API integration with existing CRM, billing and related systems allows segmentation and automation of the contact process, ensuring information and offers are timely, relevant and add value to both parties. Derek Merdinyan - Founder of Video Igniter, a video marketing agency in Seattle, explains how he use.. When a school is affected by an emergency, they need to know how to respond.In the event of a natura..
Transport &amp; logistics firms face two overarching challenges: maximizing operational efficiency, .. When an emergency occurs, the need to communicate at scale is immediate.Councils and shires have the..